Well hooray for me – I’ve won an award! 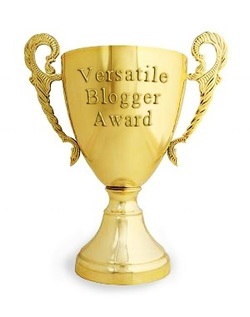 Thanks to the generosity of MaryAnn at Chapter by Chapter, I am now the proud recipient of a Versatile Blogger Award… Thank you so much MaryAnn!! Spread the love! Pass the award on to five other bloggers. Make sure to contact and congratulate them! 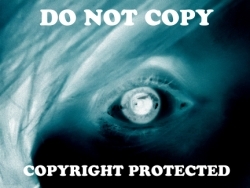 I already did the thanking – that does go without saying, after all, I wasn’t raised by wolves! – but will do it again in the interest of thoroughness: Thank you again MaryAnn, what a treat to see this today!! I currently have the longest fingernails I’ve ever had in my life because I’m getting married Saturday (HOORAY!) and knew that there would be pictures of my hand with rings on. Said fingernails are driving me insane and I can’t wait for Sunday so I can cut them off. I miss playing volleyball or softball or any sport. Sadly, my knees do not. Sigh. I love the smell of pumpkin things, but hate the taste of them. Eew. LOL. Sniffing baby head! 😀 You are so funny. And congratulations on your wedding! just 2 days away..you must be so super-excited. I know I was! Thanks for the award – I loved reading your facts and CONGRATULATIONS on your upcoming marriage Saturday! P.S. I was following you through Networked Blogs but I prefer the Google feed, so now I am following you twice. Do you feel twice the love??? Hey, doll! It only took me a month, but I’ve finally discovered this award. Thanks. It makes me feel really great to see you recognizing me. Mazel Tov on the wedding — I hope it went smoothly and that you’ll have many, many years of marital harmony. And the wedding/honeymoon were fabulous and am amazing way to kick off what I also hope will be many many equally fabulous and amazing years!